The world has seen a surge in demand for citronella products as a natural repellent against mosquitoes carrying the Zika virus, as a public health emergency spreads. DINE-AGLOW DIABLO Food Service Fuels has had a huge demand for its citronella products. Dine-Aglow has experienced a 25 percent rise in sales since the start of the epidemic, especially in Florida once mosquito transmitted cases of the Zika virus were confirmed. The World Health Organization (WHO) has stressed that almost 100 percent of Zika infections are transmitted by the bite of a mosquito. Because of this, there has been a “panic-buying” of insect repellents in outlets across the country all over the world. Why Has Citronella Sales Increased? 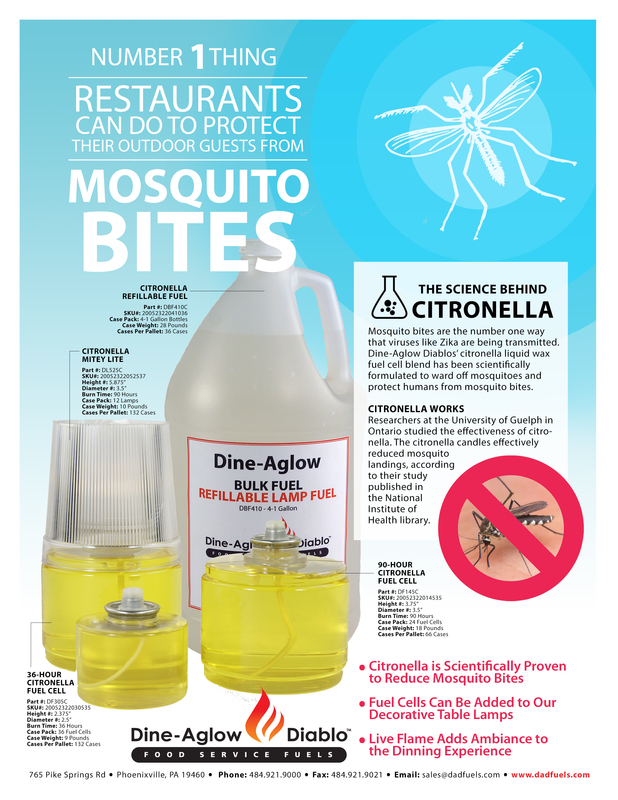 Dine-Aglow contributes the growth in sales to this “panic-buying” as a similar trend in the food service industry with regards to citronella products which provide a natural alternative to spray repellents for restaurants with outdoor dining, especially in the summer months. For restaurants and catering events with outdoor seating, citronella candles and disposable liquid wax fuel cells are the best option in the market right now. They provide ambiance and protection without an overbearing odor. In comparison to other chemical products, citronella is a natural repellent against mosquitoes which carry the Zika virus as well as other deadly viruses. 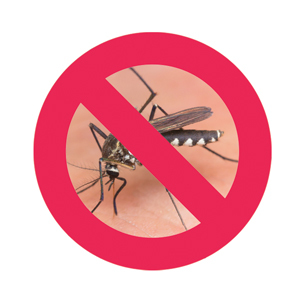 It is a much safer, more effective way for restaurants and caters to keep outdoor guests protected from mosquitoes without the use of harsh chemicals and strong odors. Dine-Aglow reports that the rise of citronella sales was sharpest in the Florida region at the center of the outbreak, where confirmed cases of mosquito transmitted Zika infections occurred. Citronella infused liquid wax fuel cells used to make up a very small portion of monthly sales, but after Zika came to the states, there was much greater demand. In order to meet this demand and produce more citronella inventory, Dine-Aglow has had to manufacture citronella based products every month, all year long. In the past only the summer months required production to be this frequent.